If you are growing old gracefully, your brain might work well but other parts of your body are doomed to die, e.g. the teeth. The community of heirs, aka family, not only hands down money and tangible assets but also body parts of poor quality. This happened to me also when growing up with the junk teeth my mother gave me. Sorry mom. It’s a quite expensive procedure to replace teeth by implants and you should think about what the doctor should update. So I started the design work, unsurprisingly (for an Apple fan) with Apple’s presentation tool KEYNOTE. Compared to Microsoft’s PowerPoint for iOS, Keynote is free and offers the much better adapted UI und UX for mobile devices. Try it out and create some awesome collages e.g. about your last holidys. I suggest to install Adobe Photoshop Mix for further reworks of photos if playing with features like sizing, opacity adjustment, frame setting, etc isn’t enough for your creative vein. Well, Apple’s portfolio doesn’t include an X-Ray equipment so I placed an order with my doc. 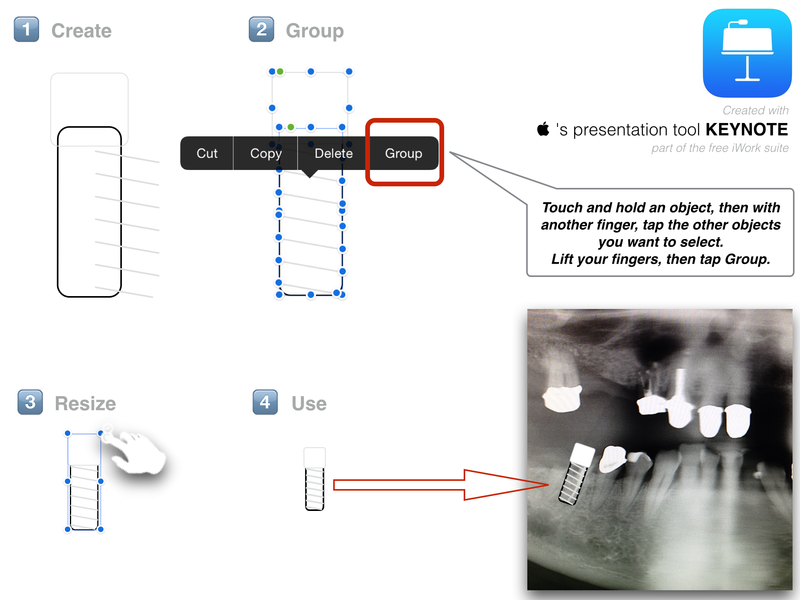 To insert implants into the X-Ray image I created an implant with KEYNOTE and used a nice little feature Apple implemented in its presentation tool. The feature can be found in the contextual menu after selecting several objects and it’s named GROUP. You get one single object which can be resized, rotated, and inserted as a whole into an existing slide. To later modify the object, just select it and tap on UNGROUP in the contextual menu. 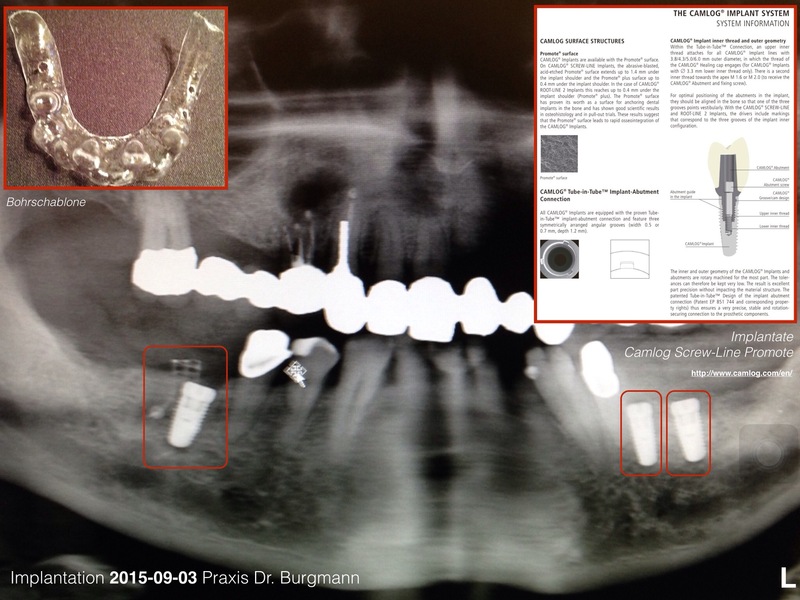 Btw, this image shows the status, my doc charged me for after applying three implants in the Mandibula. Thanks for any expression of sympathy.